For shop owners who are looking to drive sales in their shops, redesigning them to look more aesthetically pleasing can do the trick. Visual merchandising plays an important role in influencing consumer behaviour. It often starts with the window display outside before moving on to the shelf displays inside. These visual cues catch shoppers’ attention as they are strolling by, and when done properly will entice them into buying the shop’s products. Shoe shops often times look drab and boring as there are certain limitations in how products are displayed. However, the right type of shelving system can offset this plainness by making use of the shoes’ different colours, shapes, and sizes to work to their advantage in their presentation. Designing your shop to be more visually pleasing is a smart business decision that has long-term benefits that outweigh initial costs. As the driving force of any business, sale numbers have to be kept high in order to keep a shop running. As several studies have established, shop visuals influence consumer behaviour to the point that they have the potential to drive sales. Additionally, the accessibility to products also plays a role in sales. With wall mounted shelves, shoppers are able to immediately see the different types of shoes your shop carries. This also means they will have an easier time choosing which ones to try on and this often leads to them purchasing said items. This hassle-free experience directly influences consumer behaviour which, in turn, impacts sales. A shop should be a reflection of the brand. 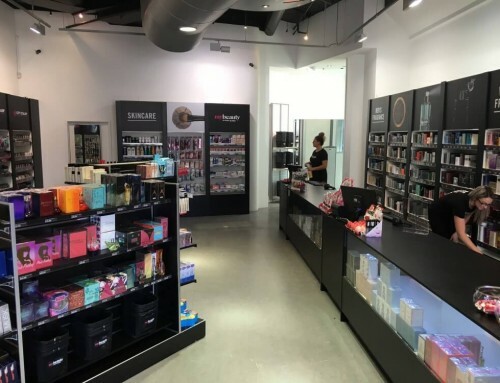 This is because the exterior and interior designs play the important role of effectively introducing your shop to customers. Organising your shop to create visual cues that resonate with a shopper’s spending behaviour is desirable in creating customer relations that will eventually evolve into brand loyalty. In most shoe shops, the floor space is taken up by aisle upon aisle of products. Moving these shoes onto wall mounted shelves free up space that can be used for fitting stools and a floor display that showcases new arrivals or sale items. In addition, the reclaimed space allows for more creativity in interior decorating and design. Using wall-mounted shelves instead of freestanding shelves in shoe shops create a sleek and chic look that allows for better lighting and a smoother shopping experience. This type of shelving solution gives the shoes a chance to stand out more as they are in full display for anyone who enters the shop. Finding the right shelving solution for your shop can be difficult, especially as there are plenty of factors to consider. Luckily, we at Shelving Shop Group have been helping retail shop owners with their shelving needs for over 25 years. We take your design needs into consideration in order to provide you with the shelving system that best suits your desired look. From beautiful wall shelves to sturdy wall brackets to durable wall channels, you can trust us with your shelving needs. 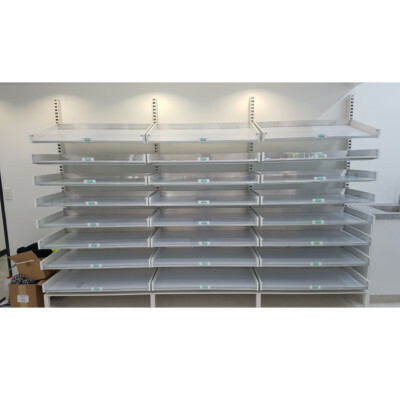 For enquiries about our shelving solutions, call us on 0800 180 280 or fill in our contact form.